Just to let you all know that Ken Stephenson's wife Kath died peacefully on 28th December. Kath was a great support to Ken in the years when he did so much for YHA. They retired to be near son Nigel and his family in Market Rasen several years ago. The funeral is at Middle Rasen Methodist Church next Thursday at 11:30am. Family flowers only but donations in memory to be sent to J Marshall, Funeral Directors, 51 Queen Street, Market Rasen, LN8 3EN. Please circulate this information to all Ken and Kath's friends in Yorkshire. 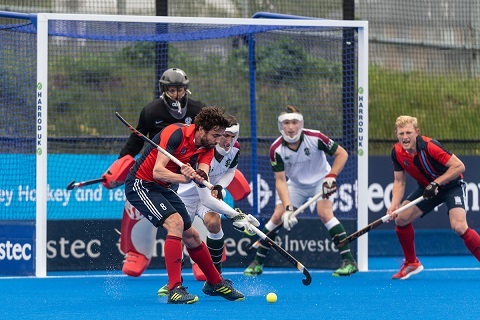 Further to the FIH’s announcement on 18 December regarding changes to the rules of hockey from 1 January 2019, England Hockey confirms that no changes will be made to the domestic game during the remainder of the 2018-19 season. In recent years we have strived to apply a consistent set of rules throughout all levels of the sport. In normal circumstances England Hockey does not implement rule changes mid-season apart from where there are potential safety implications which require swifter action. The changes proposed by the FIH have far reaching implications for the grass roots of hockey and therefore we intend to seek clarification on the rationale behind the decision as well as understand the potential impact of the rule changes amongst participants and officials at all levels. We will communicate more about this in early 2019. 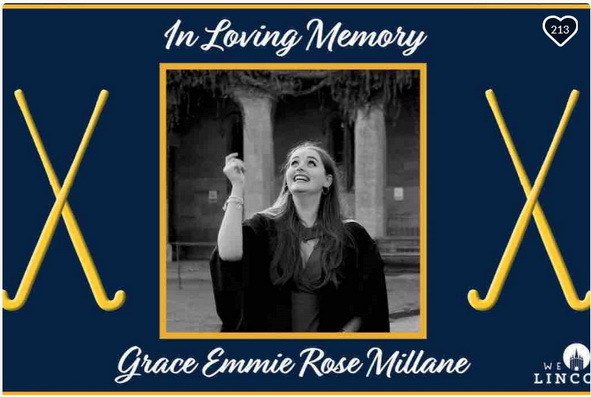 Grace Millane was a beautiful young woman who spent her three years at Lincoln University as a cherished member of the University Hockey Club and Lindum HC. Upon learning the tragic news, the society have decided to raise money in Grace’s honour for both a Lincolnshire based cancer charity - Candles (from the funds raised on Wednesday), and the Lucie Blackman trust, who support British victims overseas and have supported her family during this time. ULHC held a friendly hockey match on Wednesday 12th December to raise money in addition to the online campaign. 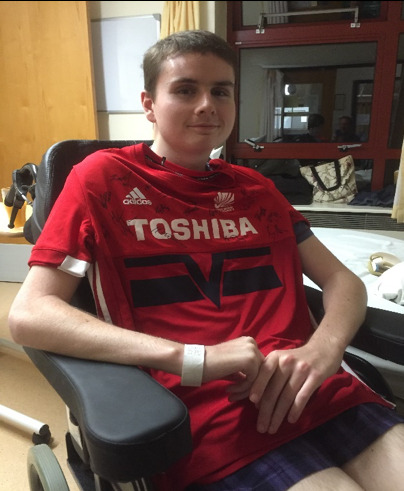 Any support is greatly appreciated, whether that be a donation or simply sharing this campaign. Arrangements have now been finalised for the funeral of Frank Ramsbottom our former chairman, long serving player and supporter. His funeral will be at 11.45hrs on the 14th January at the United Reform Church, Wickersley Rd, Rotherham, S60 4JN. There will be a buffet afterwards. Chapeltown Hockey Club are sad to announce the death of Frank Ramsbottom who died peacefully in his sleep on Saturday morning 15th December. Frank was one of the original members of Chapeltown Hockey Club and served as Chairman, player, Captain and supporter of all teams in the club ( in all weathers). Chapeltown Hockey Club will miss his humour and stories, our condolences go to his wife Pam and his daughter Heather and her family. 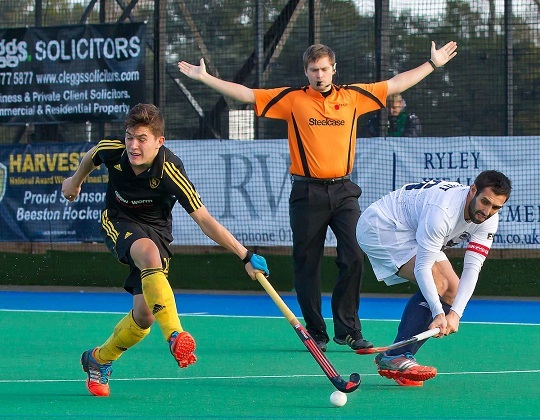 Dan is England's Umpire representative at the current Men's World Cup in Bhubaneswar, India. 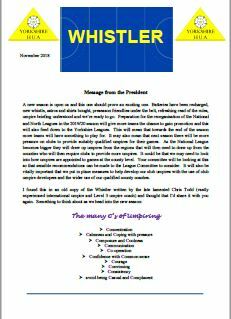 A new edition of The Whistler, the newsletter of the YHUA, is attached. Hope you enjoy reading it and if you have any ideas for items for the next issue, please let me know. It's with great excitement we welcome well-known and well-travelled hockey coach and author Gavin Featherstone and his friends Gavin needs little introduction to the hockey fraternity. A former England international player, he turned to coaching and is one of the most travelled and respected international coaches. Gavin is a free thinker who is always prepared to make a comment, so we look forward to welcoming him and listening to his views on the world of hockey. 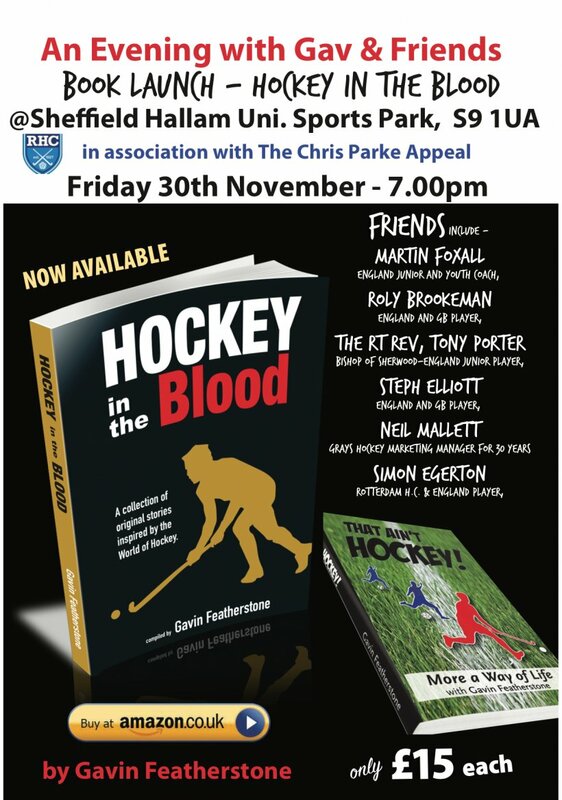 All hockey fans far and wide, indeed any sportsperson are welcome to attend and meet Gavin, who will also be signing copies of his latest book Hockey in the Blood. Gavin's latest book contains a unique and engaging collection of stories where hockey transports us into the lives of a curious and extraordinary bunch of people - with fun, suspense and excitement for these stories are about life. It's an evening that promises not to be missed so please book your place as soon as possible. This applies to all head injuries, regardless of the age of the player. Sally Mapley @EH is monitoring head injuries in hockey. Usually, the individual club welfare officers would be informed of any accidents/incidents that occur at YHA events and it may be that they already know about reporting head injuries to Sally. However, as a precaution, could I please receive copies of all head injury accidents that involve juniors? Head injuries include anything above the neck, so injuries to mouth, chin etc will still count, as well as concussion and other head injuries.